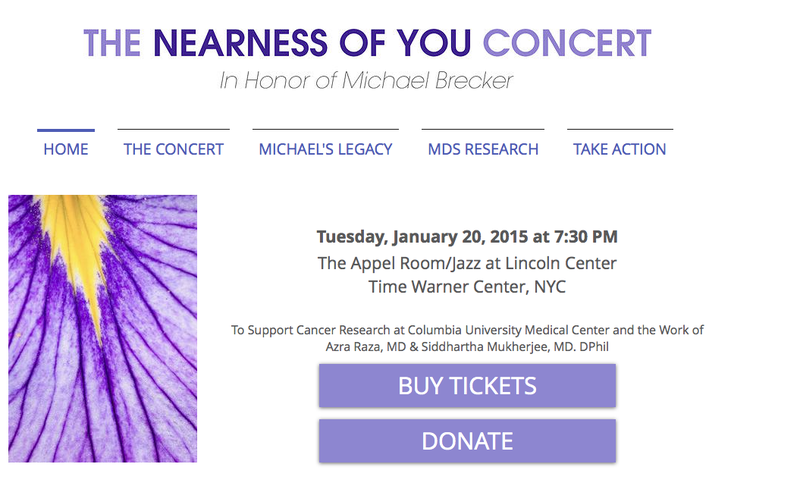 "The Nearness of You" a musical celebration of the music and life of Michael Brecker. Tuesday January 27th at Jazz At Lincoln Center. Joined By Paul Simon, James Taylor, Bobby McFerrin, Dianne Reeves and many special guests including Jack DeJohnette. This special performance is to Support Cancer Research at Columbia University Medical Center and the work of Azra Raza, MD & Siddhartha Mukherjee, MD, DPhil. The event will be hosted by Hugh Jackman.